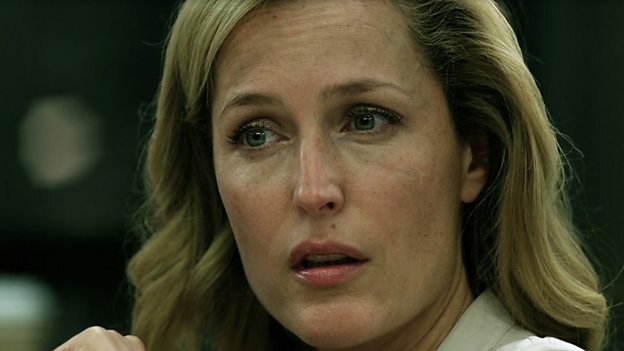 Gillian Anderson stars as DSI Stella Gibson in a new gripping psychological thriller for BBC Two that forensically examines the lives of two hunters within one story. Successful homicide detectives and serial killers are really two sides of the same coin – one works within the rules of society, the other transgresses them and strikes at will. The Fall is a gripping investigative drama that in this initial five-part mini-series follows the lives of two hunters within one story. The first hunter is the highly driven DSI Stella Gibson. The other is a serial predator, preying on the lives of women in Belfast, Northern Ireland. A high-profile murder remains unsolved. Detective Superintendent Stella Gibson is drafted in from the London Metropolitan Police to review the investigation. The local police are under increasing pressure to make an arrest but they have no suspects. The truth is that while the PSNI have investigated many sectarian murders over the years they have never had experience of a sexually motivated serial killer. Gibson has. She puts herself forward to head a Task Force dedicated to bringing the killer to justice. While she senses hostility as an outsider she brings with her the knowledge of how certain kinds of serial predators hide in plain sight. But this isn't a whodunit. Rather, a will-they-stop-him? Radically, the killer is identified to the audience from the start and the drama increases in intensity by playing out the cat and mouse game from both sides. The audience watch the killer, Paul Spector (played by Jamie Dornan) go to work, kiss his wife and children goodnight, and then go out killing. The case will be explored in all its complexity, establishing on screen how it is that a modern, top-level Murder Investigation Team work when they come up against every police officer’s worst nightmare. The Fall is a new television series produced by Fables Limited in association with Artists Studio for BBC Two, commissioned by BBC Northern Ireland, with funding from Northern Ireland Screen. The series is written and executive produced by Allan Cubitt, directed by Jakob Verbruggen, produced by Gub Neal and Julian Stevens, and executive produced by Justin Thomson-Glover and Patrick Irwin, with Stephen Wright acting as executive producer for the BBC.